You write one payroll check. Stratus.hr takes care of the rest. Pay everyone easily and on time. 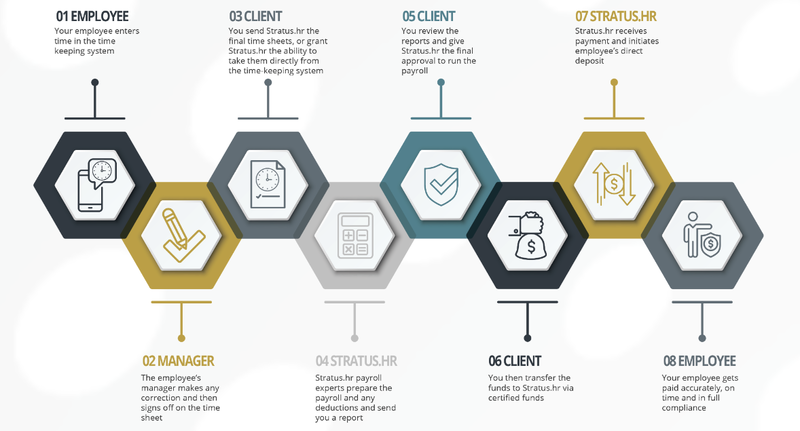 Stratus.hr assumes liability and responsibility for all payroll taxes, reporting and audits. No more penalties! All pay history is maintained and fully integrated in our system. Want to see information beyond our traditional reports? Stratus.hr has the expertise to generate data the way you want it and make it easily exported to Excel. Managers can quickly view payroll expenses in a powerful visual representation of your company’s metrics without running a report. Is it always a good idea to outsource your payroll?